I am a PhD graduate from the School of Computer Science of the University of Manchester, my supervisor was Andrei Voronkov. My resume can be downloaded here. Unfortunatelly, I no longer work on Vampire. The Vampire theorem prover should be available for download at vprover.org. Become fan of Vampire. If you are struggling with Vampire, and unofficial readme can be found here. The new version of Vampire (0.6) has won the FOF, CNF and LTB divisions. In combination with an old version of Vampire it has won the FOF division, and (using the SInE axiom selection) also the LTB division. 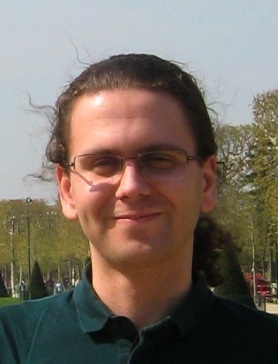 Co-organiser of the First-order theorem proving and Vampire tutorial, held as part of the CADE 2011 conference on August 1, 2011 in Wroclaw, Poland. My slides on Vampire usage are here, examples used in the slides here. Unification index benchmarking — a framework for comparing unification indexes based on COMPIT. SInE — axiom selection system, winner of the CASC-J4 (and in some sense also CASC-22 and CASC-J5) LTB division.